Okay, every day you brush your teeth. Have you ever leant over the sink to rinse and been hit by a foul odour? It smells like a sewer but don’t worry. It’s not a major blockage. It’s just a build-up of soap, dead skin, hair and other stuff that goes down the pipes and congeals into a lovely scum. Over time, it settles there forming a thick crust on your pipes. That’s a problem because there’s less space for the water to flow away. This is worse in the shower as you use it the most. 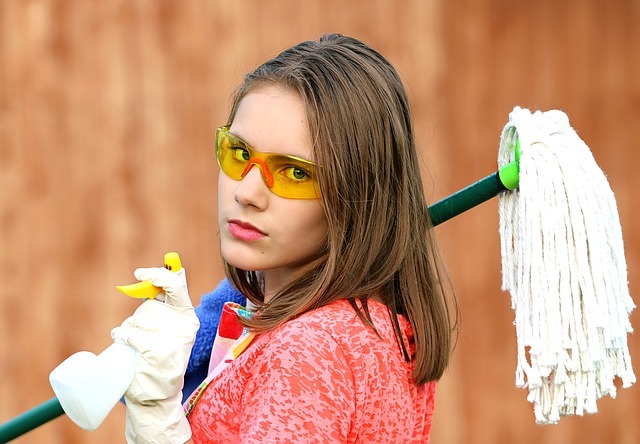 And here’s what you do to get rid of those nasty odours. Grab a bucket of hot water and add some disinfectant. Then get out a mop with a string mop head. Remove the drain cover in the shower and pour the water down the drain. Plunge the mop into the pipe, up and down for a few minutes. You’ll be shocked what you find. There was a time when every house had a plunger. Now, they’re not so common. I recommend you get one and keep it under the kitchen sink or in the toilet. 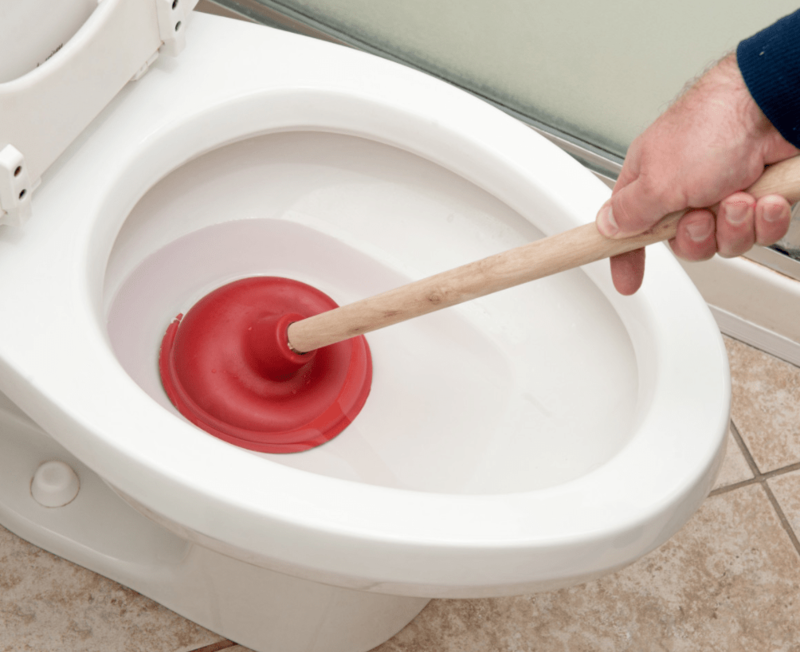 Most of the time, a plunger can clear a blockage in your kitchen pipes or the toilet. If you have concerns, or it doesn’t work, call a plumber. Using a plunger is your first aid for blocked pipes and blocked toilets. It’s a very effective way to clear a blockage. It looks like you’re spoilt for choice when it comes to drain cleaning products at the supermarket. So, let’s narrow down the options. First, choose a gel or liquid rather than a product you have to mix in a bucket. It’s more expensive but the less you have to handle a caustic product, the better. Second tip – buy the size that you can use in one go. That way there are no opened containers for kids to discover. And always follow the manufacturer’s directions. Finally DON’T use these products after you have used any other treatment in your drains. Wait a few days and let the ordinary use of water clear the pipes of that last treatment solution. If you have a problem that isn’t going away, just give me a call. Your sewer drains carry away all your bathroom water, kitchen water and toilet waste. It’s an effective system, most of the time. Blockages can happen though. If you’ve ever had sewerage bubbling up through your shower recess, you’ll know how unpleasant this can be. Talk to all the girls in the house. There should be no tampons going down the toilet. This can be an awkward conversation but just do it. Leave a waste bin in the toilet with a note on it, “All Tampons Here Please.” This will help visitors know your House Rules too. Okay, let’s talk about those so-called flushable wipes. Well, they are NOT flushable. 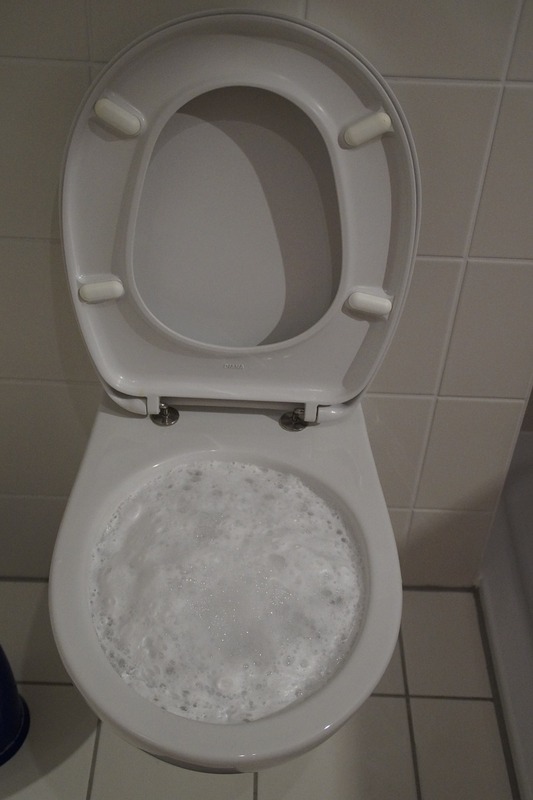 I have been called out to on several jobs for blockages caused by ‘flushable’ wipes. Once it took 4 hours to remove them from the drain until the water flowed freely. I filled 3 60 litre garbage bags with discarded wipes. The wipes get stuck on the end of the cables that I use in my drain clearing equipment. They do not break up like tree roots. The cable has to be pulled out and cleaned and put back into the sewerage drain many times. At around $250 an hour for man and machine, this can create a big hole in your pocket! So, don’t believe the advertising hype and please walk past the flushable wipes in the supermarket. For more on this, pop over to this Choice article, The Messy Truth about Flushable Wipes. If you have any plumbing questions, please give me a call on 0404 030 796. I’m here to help. PS Next week I’ll be telling you what trees not to plant in your yard. A bit of planning can limit the chance of tree roots getting into your sewerage pipes.